China’s president Xi Jinping is in Durban, South Africa this week to attend the BRICS (China, Brazil, Russia, India, South Africa) summit. One major expected development is the creation of a new development bank fully funded by the leaders of the BRICS, the largest developing nations in the world (excepting South Africa). Xi is also on his first trip overseas as China’s leader, and he’s also trying to boost China’s relations with Africa. China has become Africa’s number one trading partner and is looking to increase trade even more, as well as involved in a lot of investment and aid. 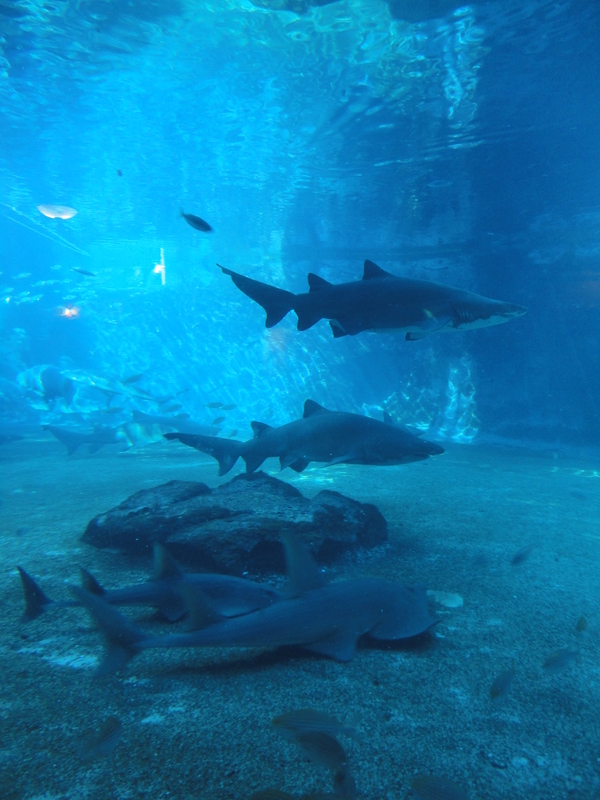 This article shows major public facilities that have been built with Chinese support. Coincidentally I recently reviewed a book about Chinese economic and industrial activity overseas called China’s Silent Army. Chinese operations in Africa were covered, such as drilling for oil in Sudan and logging in Madagascar. The book had some good information about the adverse effects of China’s presence overseas, but the overall tone left much to be desired. The name of the book itself provides a clue as to the authors’ bias. It’s not a surprise that the book’s overriding theme was that China being on a “conquest”, no matter that the Chinese presence consists state enterprises, private companies, entrepreneurs, and individuals doing humble jobs such as selling clothes in wheelbarrows. It’s a decent read and has some good information, but it’s also quite misleading and shallow in its conclusions. Tzu Chi is a Taiwanese Buddhist organization that does charity and relief work in dozens of countries, including South Africa. It’s very famous in Taiwan but apparently it’s big in South Africa too, for some people as I was to find out. 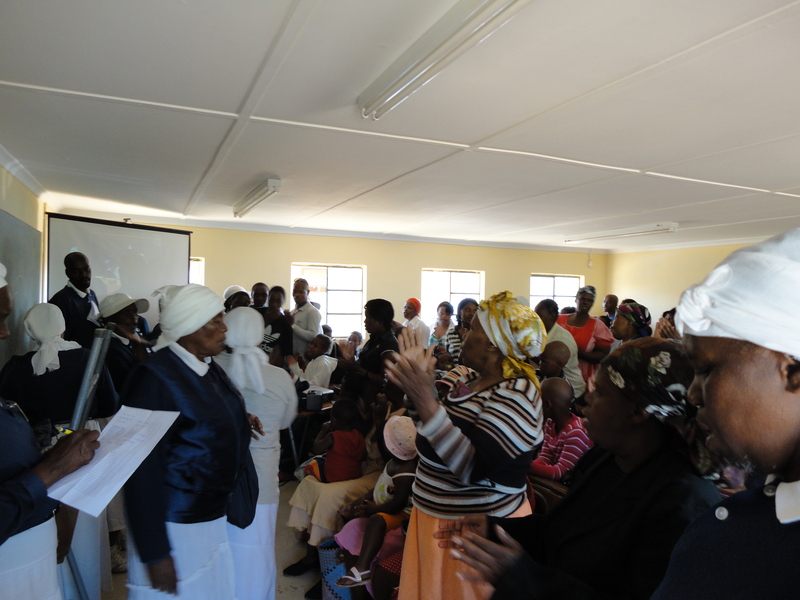 I was privileged to be able to go along with Tzu Chi’s Durban chapter on their rural visitation program. Tzu Chi runs about 100 teams, comprising almost 4,000 volunteers in rural communities, who regularly visit seniors and other people suffering from AIDS, and other debilitating conditions. 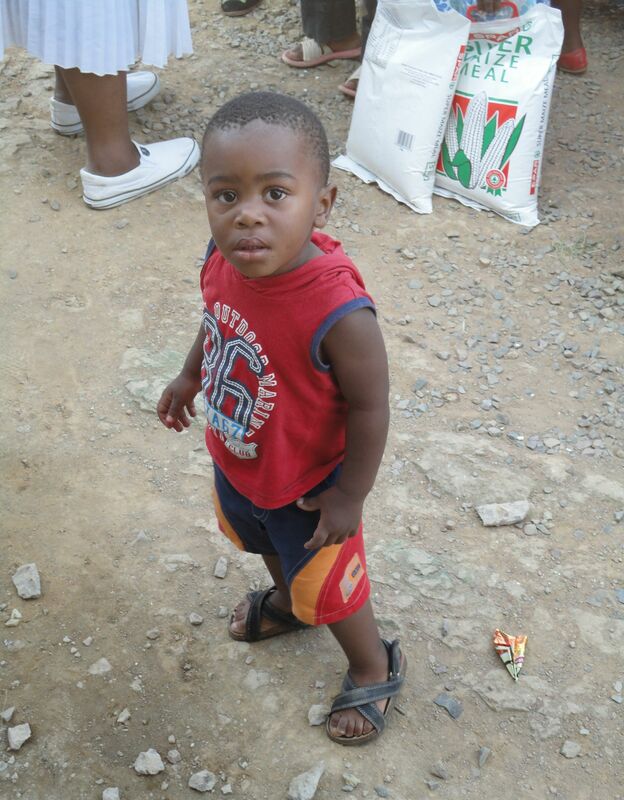 Every week, Durban volunteers, who are Taiwanese-South Africans, drive to several of these communities to deliver supplies to give to villagers and also visit several people themselves. Loading things off one of the Tzu Chi trucks into the school. The happy ending of one visit, after what seemed like an eternity getting everything in order for distribution. 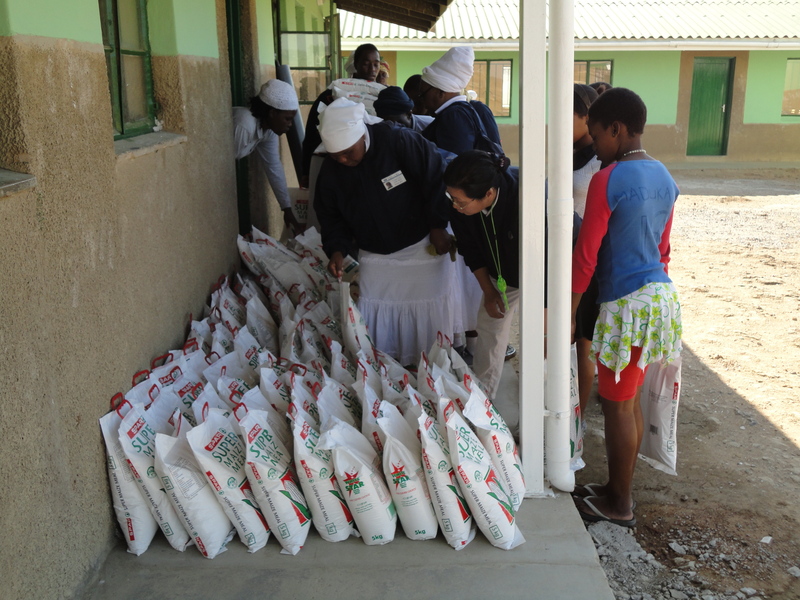 People, including kids who are orphans, pose with their blankets and maize meals. 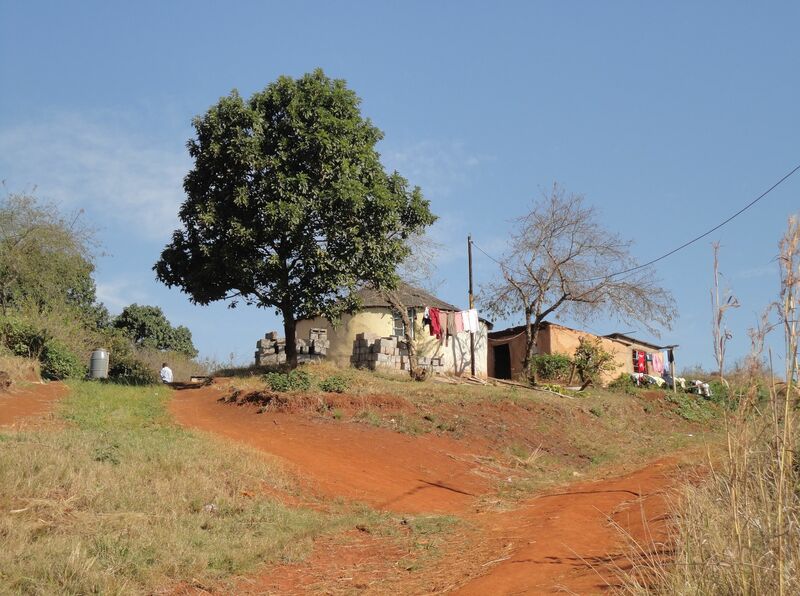 The places we went to were far in the rural, hilly areas south of Durban, away from the industrialized coast and where paved, concrete roads gave way to rough, dusty paths. 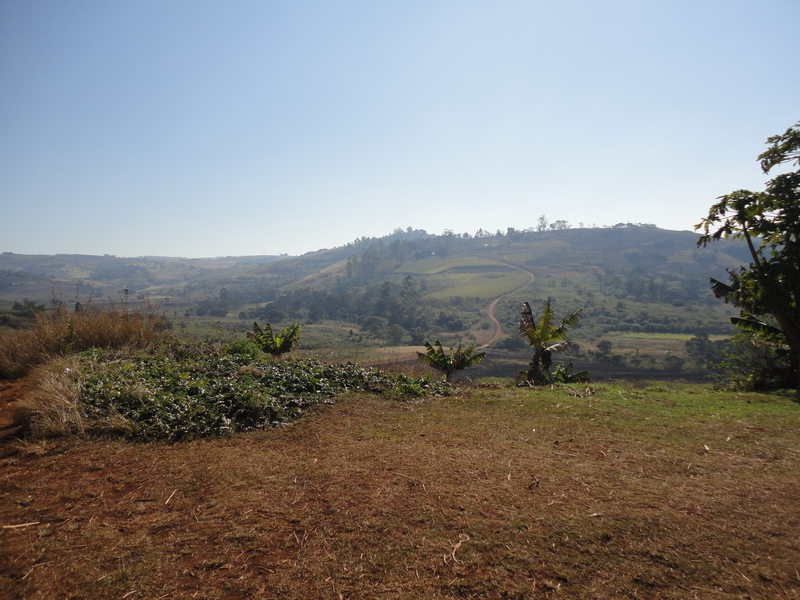 In vast Umbumbulu, the hills and valleys were dotted with huts and houses that sprawled far into the distance. 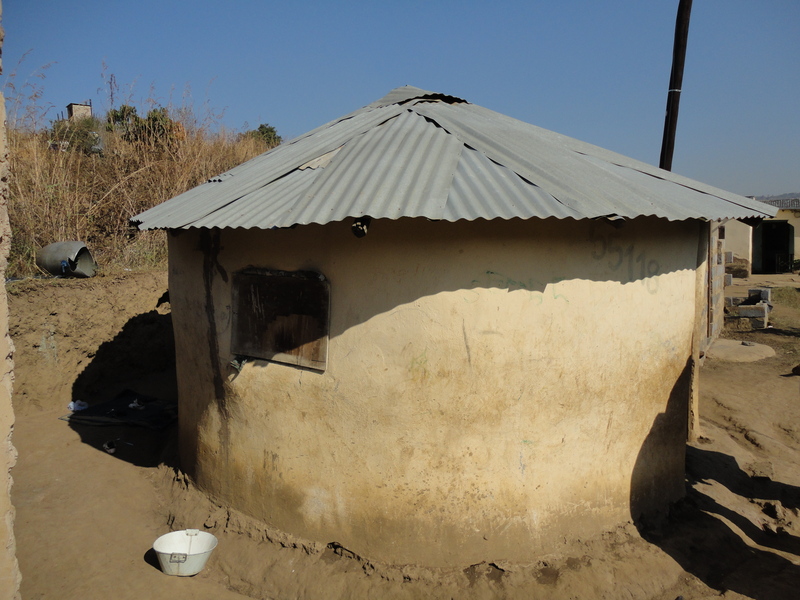 There were as many rondavels, traditional round huts though some were made of modern materials like bricks and concrete, as regular rectangular-shaped houses and cattle, goats and even chickens grazed outside of many of these homes. The further we drove, the more open the space and the less steady the roads. This being winter, a lot of the land had a dry and arid feel to it and was certainly not lush, as trees were quite sparse. Before we drove to the communities, we picked up some volunteers in Isipingo, the biggest town in the area, at a gas station on a corner that was always busy each time we went there. There were shops and supermarkets, vendors selling fruits and vegetables in stalls further up on the road, and even a KFC in front of us that had iron bars across the counter, presumably to deter bandits, which was hilarious. I’ve seen banks and other businesses with anti-burglar bars before, but not a KFC. The place reminded me of Charlotte Street but without the Chinese businesses, for those of us who know Trinidad. After picking up all the volunteers, in Isipingo and along the way, we went to schools to put on a presentation and distribute items. The volunteers are a lively bunch of mostly women, many of whom are older but they had a zeal for the work, whether it was visiting the sick or loading things off the trucks. 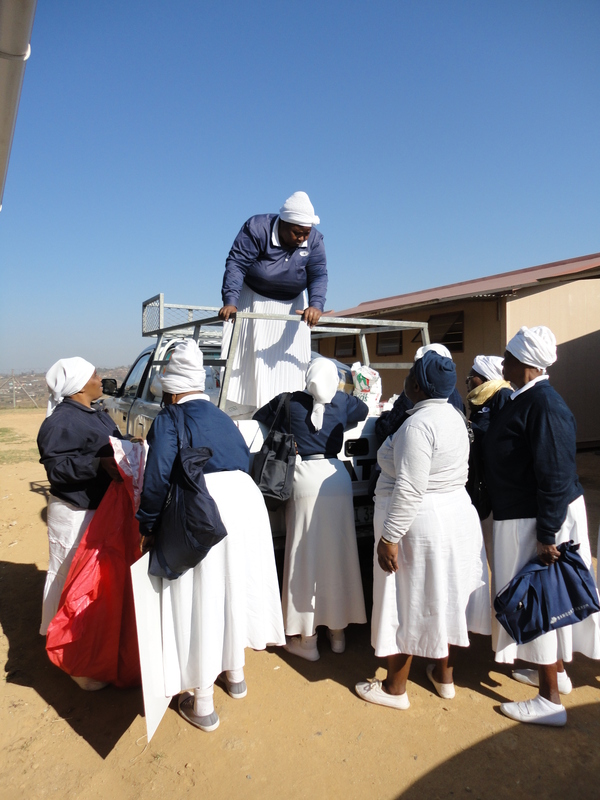 As the pick-up truck only had space for 3 people in the back row, many of the local volunteers had to ride in the back (tray) and at times, some would stand up, whilst holding on to the iron grill mounted on the tray. This would not be kosher in Canada or Taiwan, but people do this in Trinidad too so it didn’t seem strange. 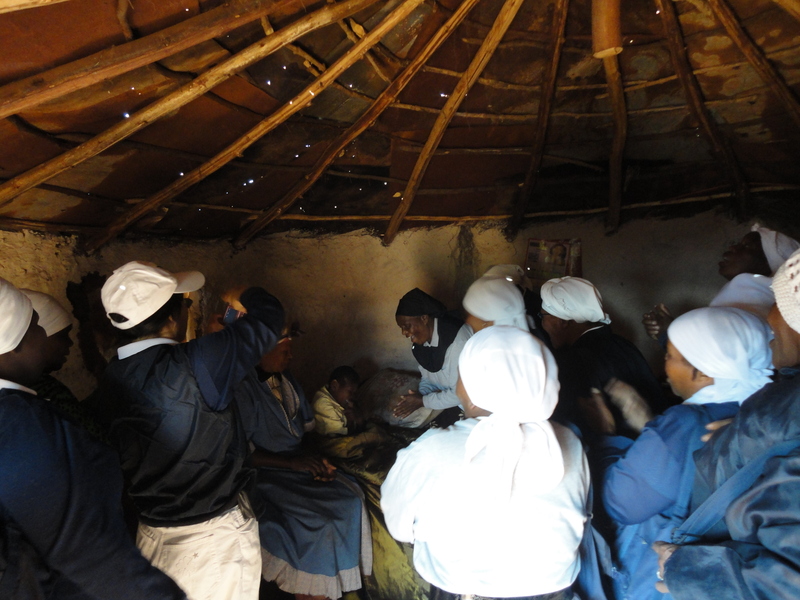 Having booked classrooms beforehand, several local volunteers would show a video about Tzu Chi, and then give a talk before taking down names of the attendants to check against a pre-arranged list for who would get the items such as blankets and maize meal, a vital ingredient in pap, a staple food for many locals and across Southern Africa. During this time, Karl, a Taiwanese-South African volunteer, would drive the other volunteers to make personal visits to several sick people. 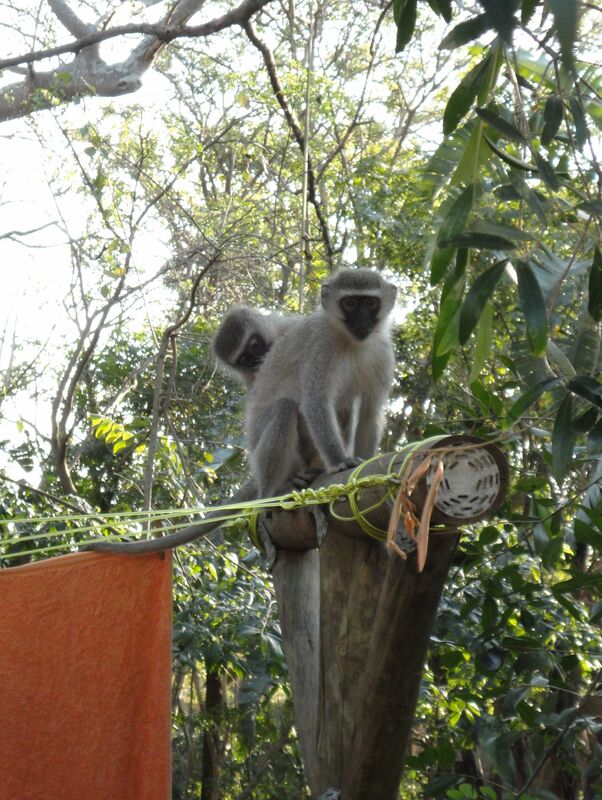 Karl, a statistics PhD candidate at the UKZN, was one of those in charge of running these rural programs and had been involved in Tzu Chi since high school. His mother and brother also helped out on these trips, driving the other truck, making sure of the administrative details, and filming the proceedings. Wearing the same uniform of blue shirts and white long pants, the Tzu Chi volunteers presented a distinctive look that was the same as their counterparts in Taiwan. These presentations would begin with singing which combined local songs with lyrics about Tzu Chi. At times, the singing became quite spirited with hand clapping and soaring voices reminding me of some Christian church services. All the singing and talking was done in Zulu, not English, because these were Zulus, the people who the province was named after (KwaZulu-Natal). Zulus are the largest black tribe in South Africa, with the Xhosa second, and KwaZulu-Natal is their homeland. The current president Jacob Zuma is a Zulu while his predecessors Nelson Mandela and Thabo Mbeki are Xhosas. Hill country, left, and rondavels at one of our visits. Helping with song, left, and rondavel No. 55118. It was weird to imagine a Taiwanese Buddhist organization doing this kind of grassroots work in this poor black, rural, interior region south of Durban, not that it wasn’t admirable. This was the result of another Taiwanese-S. African, Michael, who was away then. Michael had started this program with the help of some volunteers who lived in the area and gradually, built it up to the current point where Tzu Chi people could drive into these places in clear-marked trucks and be recognized. This was also why Tzu Chi didn’t need to worry about safety because everybody knows them by now, Karl assured me. This didn’t mean that everything went along smoothly as in the beginning there were issues that needed to be dealt with. Tzu Chi’s policy is to distribute things directly to people who need them, not to chiefs or officials. This did cause arguments with some chiefs because local traditions dictated that chiefs often got items from outside parties and distributed them to their people, often taking a bigger share fro themselves. Tzu Chi stood firm on their policy, threatening to pull out if the locals couldn’t agree, and this helped settle the problem. I can’t say I didn’t feel a little quezy at so much people having to get aid, not because they didn’t deserve it, but because I wondered about what this meant for their self-sufficiency. Most of the recipients were vulnerable in some way, whether in being orphans or being unemployed, single mothers and so on. Karl did mention that one of Tzu Chi’s projects was in starting vegetable gardens and in my idealistic mind, these projects are the best. We didn’t visit any AIDS sufferers, but we went to see a few people who had conditions that rendered them virtually immobile, unable to talk and behave normally. Several of the homes were only accessible by first driving along precariously steep and unpaved grassy paths, then walking. Before going into the homes, the local volunteers would form up in a line and sing. In one case, we visited a very slight person who looked like a young girl but who was actually 35. She was only able to sit up in bed, couldn’t talk, and could only move her arms, which were bent at an angle, from the wrist up. Anyways, the volunteers talked to her mother and then sang a few songs, which got a visibly positive response from the woman. Disturbing as her condition was (not trying to be insensitive), it was moving to see how touched she was, nodding her head and shaking her arms during their singing. She was not surprisingly disappointed when we left. It’s really sad to think about the lives of these sick and their families. They don’t get much effective health care, as the area’s hospitals and clinics aren’t adequate and doctors don’t have the resources. The family members, such as the mother of the woman mentioned above, have a stoicism about them as their lives are not easy. We also visited an unemployed man who had been disabled in an attack and whose wife left him since, and an old lady suffering from high blood pressure and asthma who, with her daughter-in-law, looked after 7 grandchildren who were all orphans. Presumably at least several of their parents’ deaths was because of AIDS, which has ravaged a lot of communities across South Africa, as well as Lesotho. At one point, we had visited a senior volunteer whose husband was sick and her home was full of grandchildren who, sadly, were all being taken care of by her because their parents had died. All four of the volunteer’s children had died, two of them from AIDS. The second time I went on these visits, the scale of the distribution was much bigger than the first. While the first had been a subdued affair with about 20 people coming from the surrounding village to receive items from Tzu Chi, the second saw about 100 persons, including some kids and babies, who were somehow able to fit into a classroom for the talk and video. When the video ended, it was name-checking time and because there were so many people, this had to take place outside with people lining up in the sun. Not surprisingly, this took a long time, especially with some mix-ups on the name list. After over an hour passed and things still didn’t seem as if they would be resolved soon, I asked Karl if people ever got upset about this. No, said Karl, this kind of thing is normal for them. Actually, this might even be faster than what they’re used to, he added. And the people’s behavior backed up what he said. By this time, the scene was unbelievably lively and noisy with kids running and playing all over, dozens of people lining up and talking in the middle of the courtyard, while Karl’s mother and several volunteers tried to get things sorted out. People seemed to be taking it all in stride and there weren’t any rumbling or complaining. I’d even say this was one of the “most African” situations I was in for my whole trip, down to even some hearty ululating from two old ladies at the end. In the end, things went smoothly and everything was handed out accordingly, and there was even time at the end for the requisite group photo of people holding their Tzu Chi stuff up high. I felt uneasy to observe poverty and suffering that in some ways was so casual like the grandma whose grandkids were all orphans, and the feeling that for many of the people, life may not improve much. Big thoughts swirled in my mind of whether there’d ever be adequate hospitals and schools and such things for the people in these areas. But leaving that aside, the kind of grassroots programs that Tzu Chi was doing was admirable and certainly more meaningful than any musings I had. The volunteers were enthusiastic in their work and were grateful to be involved, as they were helping their own communities and people. 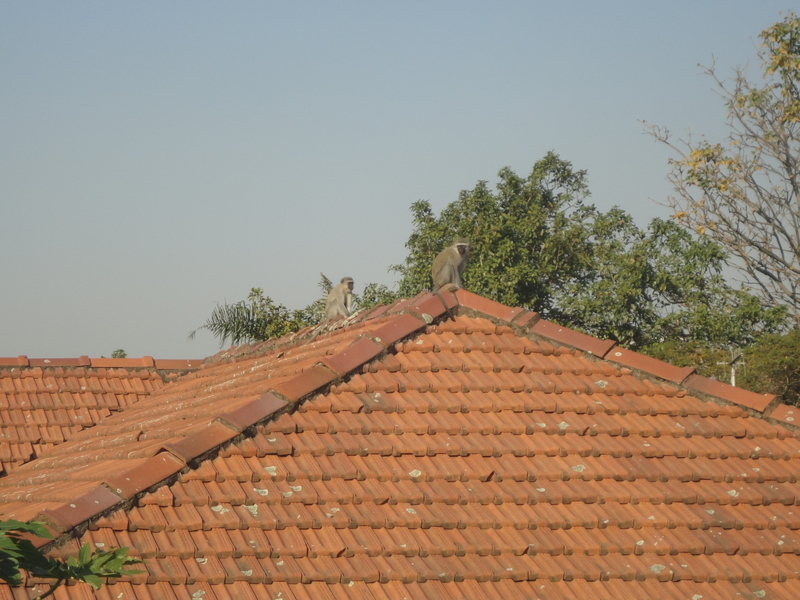 A South African Indian writes about her people’s place in SA. For those who are puzzled over why there are so many Indians in SA, this would be a good read. 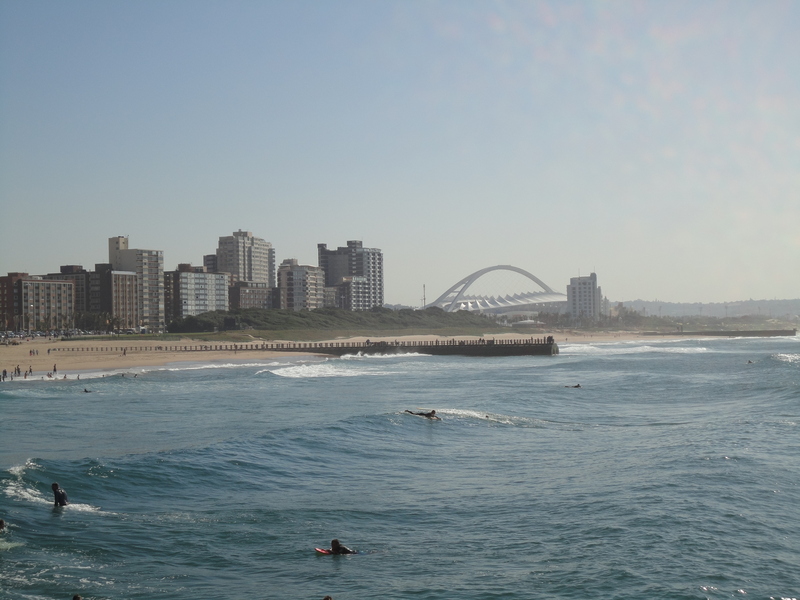 Durban is where pretty much all of them live as their ancestors all came to KwaZulu-Natal, then just called Natal, to work on the canefields as indentured workers, just like in Trinidad. 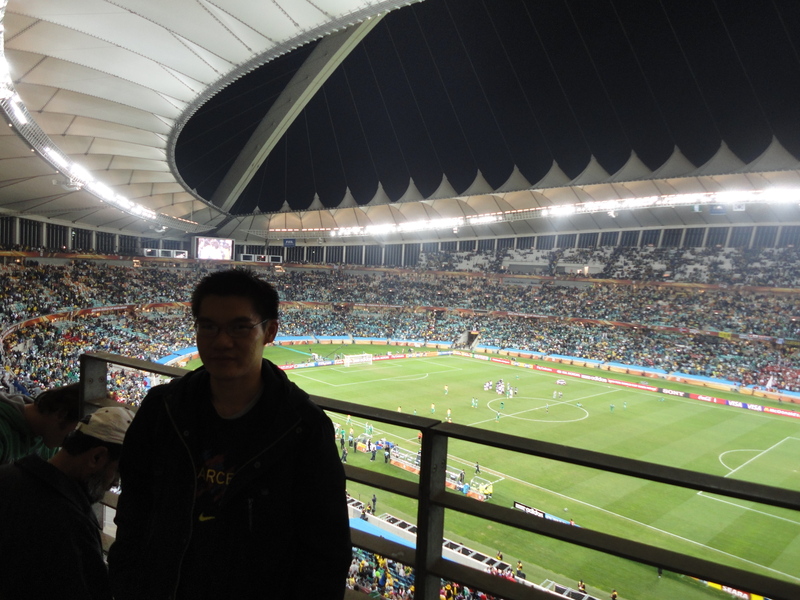 The World Cup in South Africa turned out to be much better than a lot of people thought and it really was an interesting tournament, full of all kinds of on- and off-field controversies. 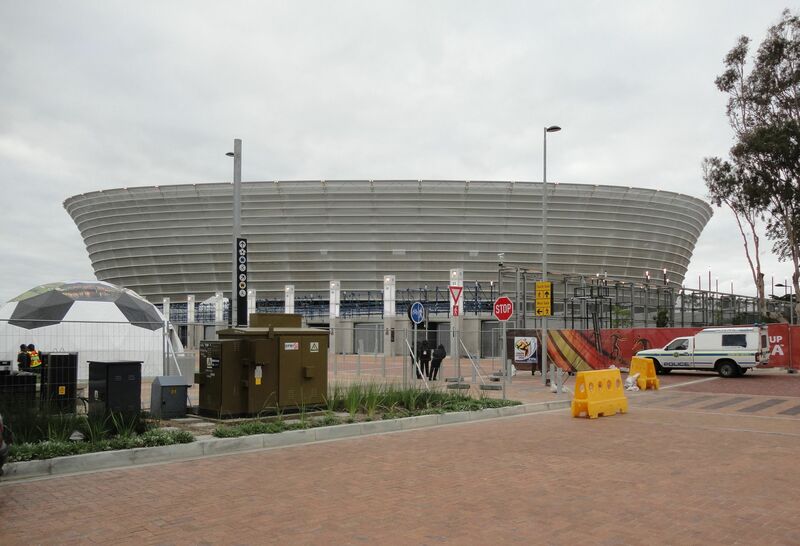 The country spent a lot on this event, especially on the stadiums, with 5 being newly built while 5 were renovated. 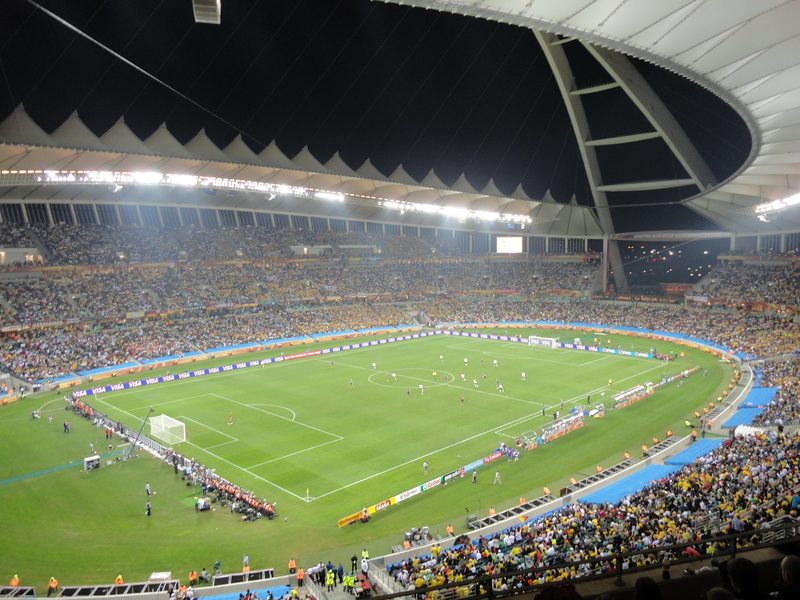 The best one, in my humble opinion, was Durban’s Moses Mabhida Stadium, which I took so many shots of. The design is obviously very unique but from inside the stadium is also spectacular to behold. 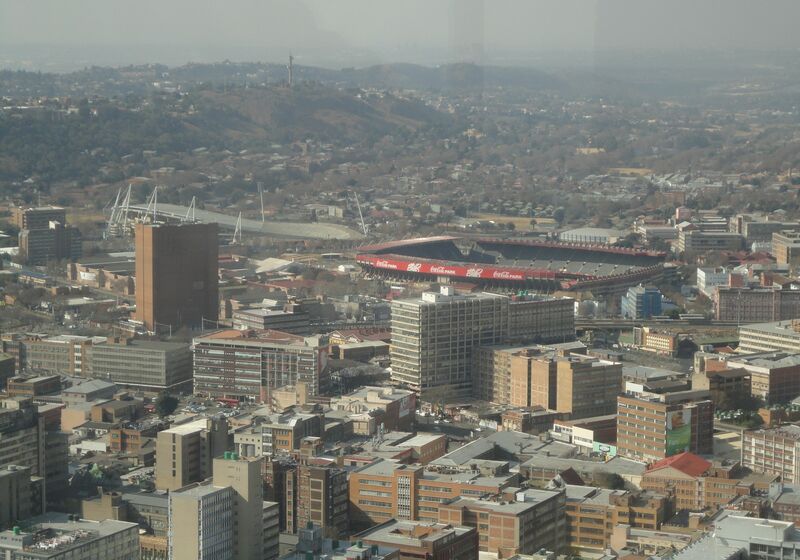 I also took pictures of several other stadiums from the outside, or in the case of Ellis Park, from high above. 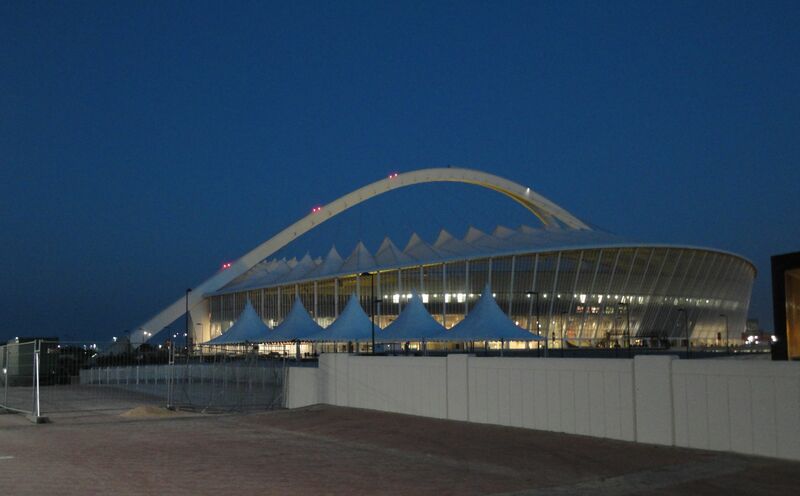 The first stadium is of course, Durban’s magnificent and iconic Moses Mabhida, which is actually pronounced Moses Ma-di-ba, and which stands out prominently no matter where you view it from. This was taken on a quiet June evening before the World Cup began. This is how it looks right before a game after entering the perimeter gate. It looks just as good inside as it does from the outside. Here I’m standing on the other end, but still the same side, from where the previous shot was taken. This was a fantastic view. As you can see, lots of people are still hanging around and taking in the view and atmosphere though the game ended about 20 minutes ago. 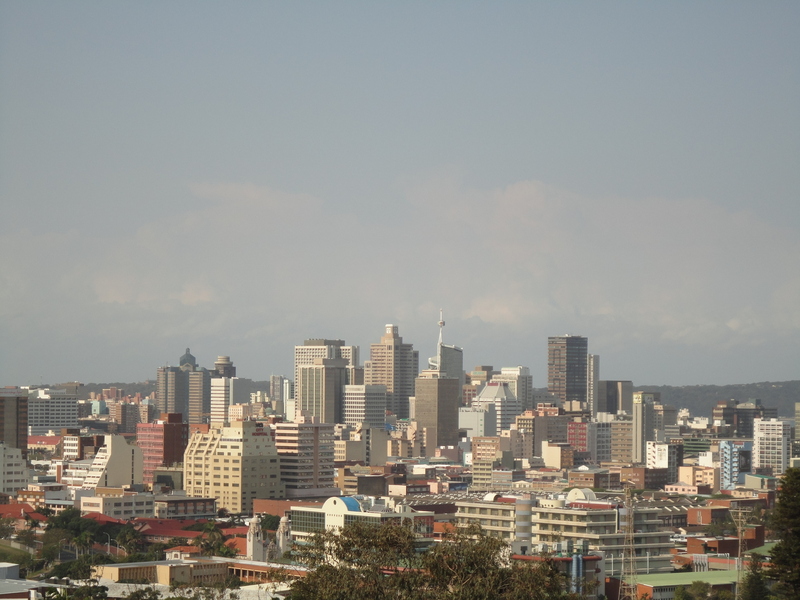 Here’s looking at it from a small hill on Berea, Durban. 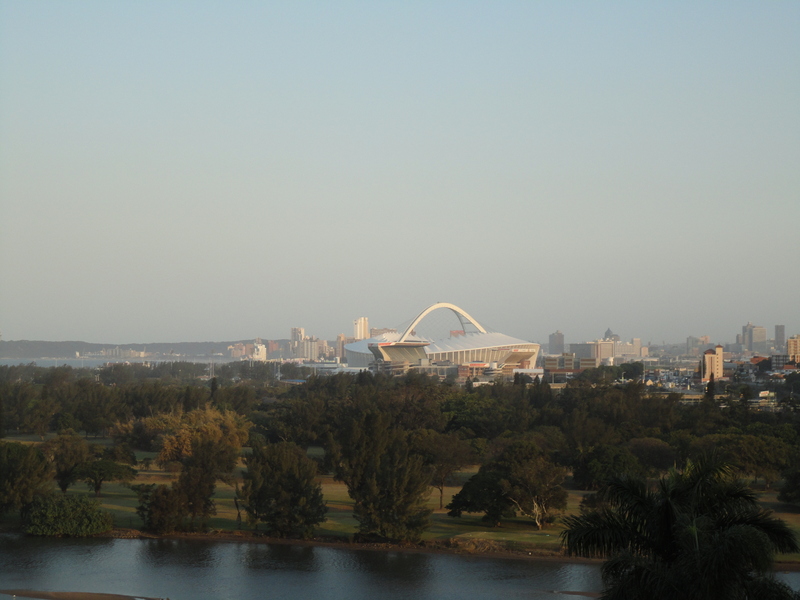 And here’s looking at it from Durban North with the Umgeni River in the foreground. 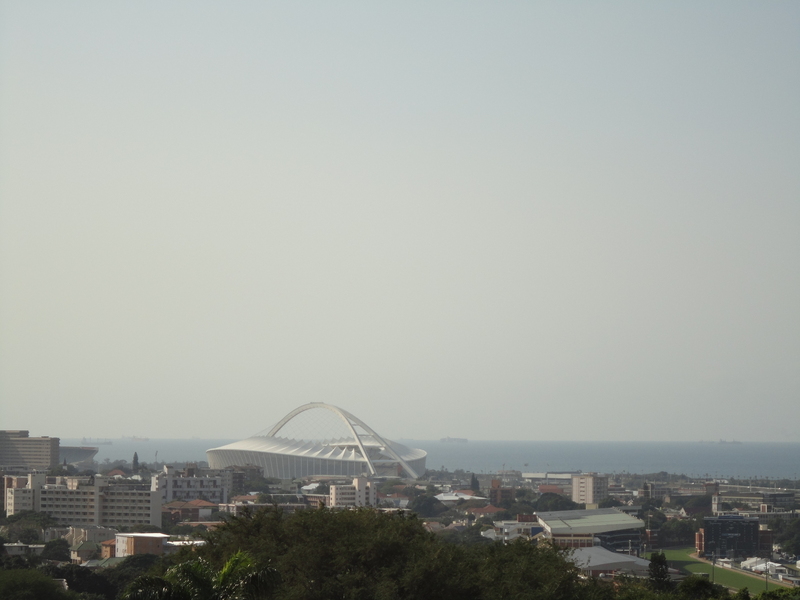 It’s also visible from the Durban beachfront. 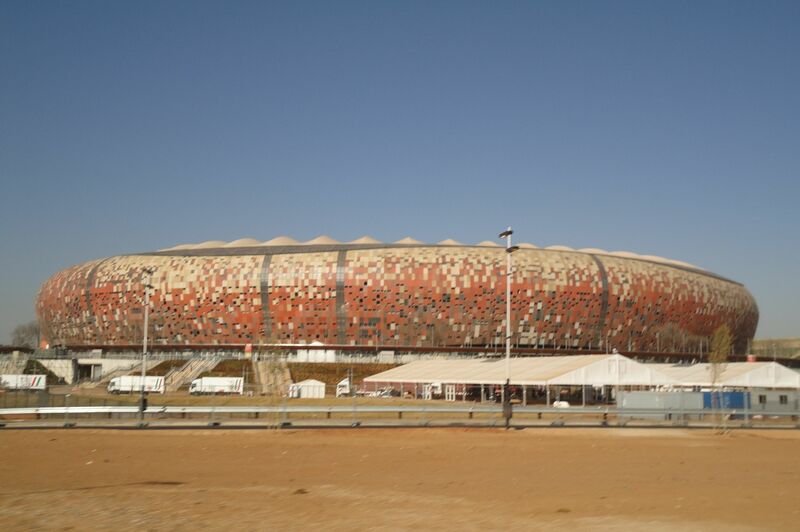 Moving on now, I also saw Soccer City, the nation’s biggest stadium, which is located in the famous town of Soweto in Johannesburg. This was taken after the World Cup ended. 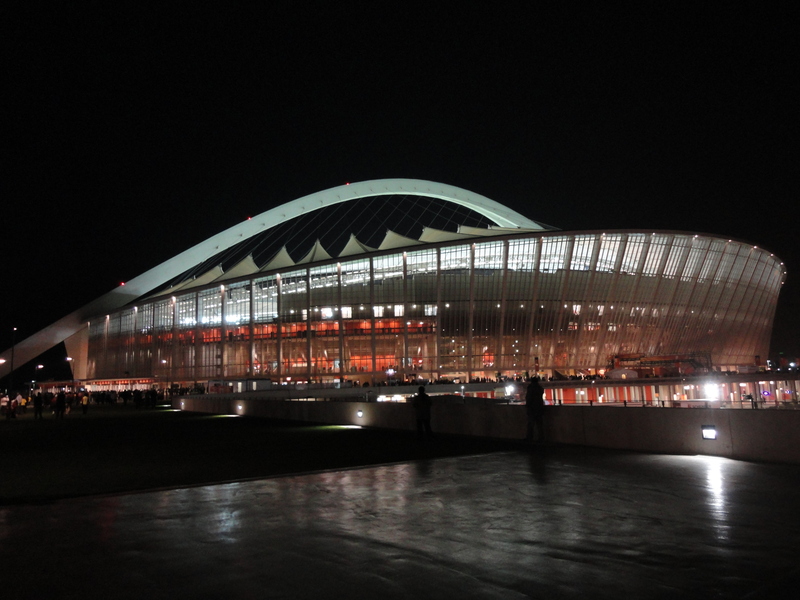 Cape Town’s Stadium was considered by some people as one of the best but somehow its bowl shape and plain exterior didn’t appeal much to me. Still I took a long walk (around 45 minutes) to the stadium from the city centre just to see it and take some photos. 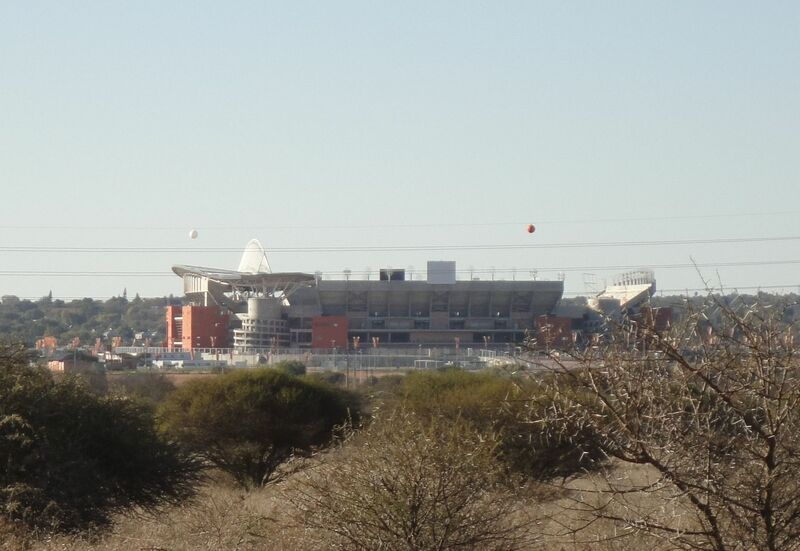 Next up is Polokwane whose Peter Mokaba Stadium is one of the new ones built but hosted just 4 first-round matches. 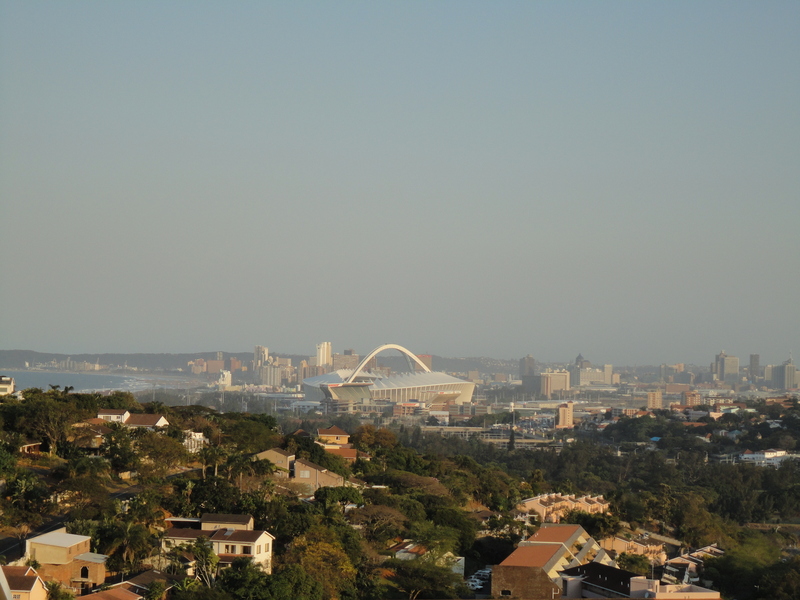 Finally, back to Johannesburg where I saw the venerable Ellis Park from on top of the Carlton Center. 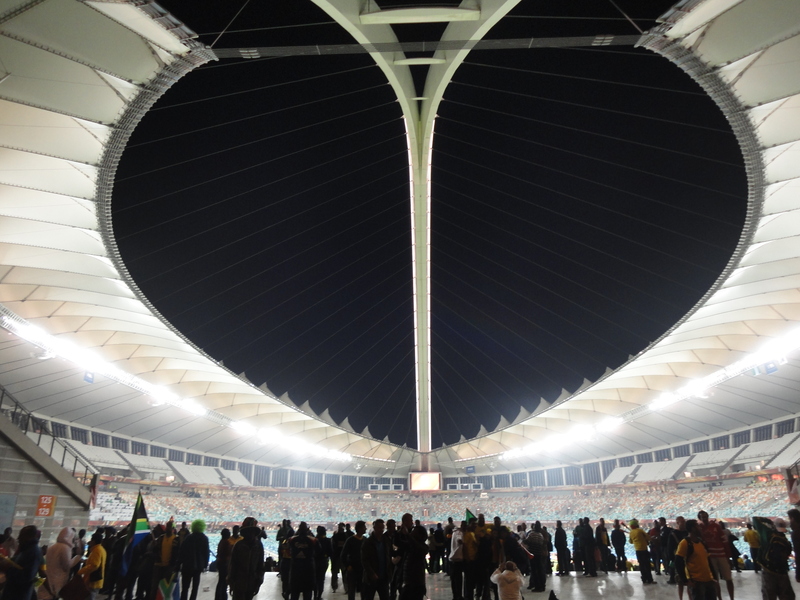 The stadium has a special history, being the venue of South Africa’s rugby triumph in 1995 when they beat New Zealand in the Rugby World Cup, but I really did not like the Coca Cola signs along the top.